Pretty little fall decoration. 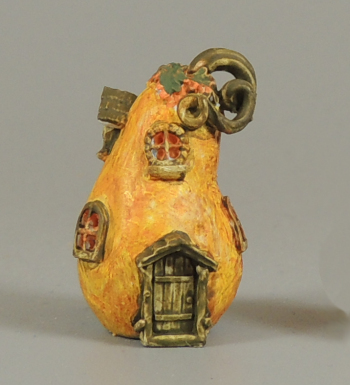 Would be darling in a centerpiece, or displayed next to our cute pumpkin house. Measures 1 1/4" in height. High Quality 3d resin printed, ready to paint.